This first floor one bedroom unit is located in the highly desirable Cherry Grove area. Located across Ocean Blvd. 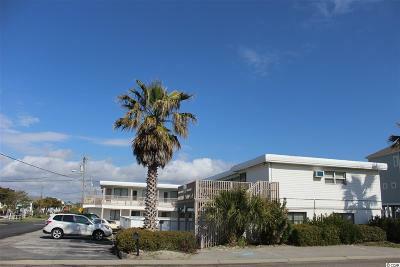 and the Cherry Grove Inlet, this unit is perfect for a beach rental or a weekend getaway. The low dues include your water, electric, cable, and internet. Enjoy walking out the door and being directly at your pool, or enjoying the ocean breeze from the 2nd floor community deck. Just a short walk from the Cherry Grove Heritage Park. Don't miss your chance to own your piece of the beach.